VisitandCare.com values the importance of medical treatment. Our partnered clinics and hospitals are highly qualified leaders in the health care industry. The accreditations listed below are applicable to many of our clinics and hospitals. Not having an international accreditation certificate from one of the listed organizations does not mean a hospital or clinic provides a lower standard of care. Many hospitals and clinics choose not to apply for accreditation despite offering standards sufficient for registration with any of the following. International Organization for Standardization (ISO) is the world's largest developer and publisher of International Standards. As the International division of Joint Commission Resources, Joint Commission International (JCI) has been working with health care organizations, ministries of health, and global organizations in over 80 countries since 1994. Their focus is on improving the safety of patient care through the provision of accreditation and certification services as well as through advisory and educational services aimed at helping organizations implement practical and sustainable solutions. In September 2007, JCI received accreditation by the International Society for Quality in Health Care (ISQua). Accreditation by ISQua provides assurance that the standards, training and processes used by JCI to survey the performance of health care organizations meet the highest international benchmarks for accreditation entities. This Association promotes the interests of its healthcare provider and medical tourism facilitators members. The Medical Tourism Association has three tenets: Transparency, Communication and Education. 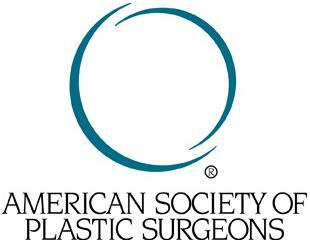 ISAPS members are board certified plastic surgeons in 86 countries. Founded almost 40 years ago at the United Nations in New York, their mission is to provide up-to-date medical education for our member surgeons, to disseminate accurate and current information to the public and media, and to promote safe cosmetic surgery worldwide. Their members are dedicated to providing you with the highest quality care in the safest possible setting. They are committed to your safety, comfort, and privacy. In the current worldwide environment where interest in cosmetic surgery has never been higher, and any physician can claim to be a plastic surgeon or cosmetic surgeon. ESHRS was founded in 1998 and is dedicated to advancing all aspects of the professional practice of hair restoration surgery and medicine to high standards of competence , conduct and ethics and promoting education in appropriate skills.ESHRS is the only organization of its kind in Europe. It intends to provide the latest news and information on the subject of hair restoration. ESHRS is a non-profit-making association with the object of promoting research into and treatment techniques for baldness. In the exercice of their profession , its members act in complete independence and on no account on behalf of the association. The International Society of Hair Restoration Surgery (ISHRS) is a non-profit medical association of over 750 physicians specializing in alopecia and hair loss. The ISHRS provides continuing education to physicians specializing in hair transplant and restoration surgery and gives the public the latest information on medical hair restoration and non-surgical treatment for hair loss. The American Board of Hair Restoration Surgery (ABHRS) first surfaced in June 1995 at a Hair Replacement Surgery Seminar in Chicago. In 1996, the American Hair Loss Council (AHLC) invited all of the specialty groups whose physicians performed hair restoration surgery to participate in a meeting to discuss the development of a Board Certification process for hair restoration surgery. ABHRS Mission: To act for the benefit of the public, to establish specialty standards and to examine surgeons' skill, knowledge and aesthetic judgment in the field of hair restoration surgery. ABHRS Goals: To grant certification to candidates who meet the highest standards of the medical profession in the field of hair restoration surgery with the express provision that the Board will not act as a business, vocational or post-secondary school. ABHRS Objectives: To establish requirements for qualification of applicants for certification by the Board in the field of hair restoration surgery. The American Academy of Cosmetic Dentistry (AACD) is dedicated to advancing excellence in the art and science of cosmetic dentistry and encouraging the highest standards of ethical conduct and responsible patient care. VisitandCare.com does not endorse any individual doctors or clinic and advises patients to check the credentials of the health care provider and the laws governing that country. Some treatments offered on this site may not be available in this particular state, region or country due to particular locations laws, health codes and cultural acceptances.